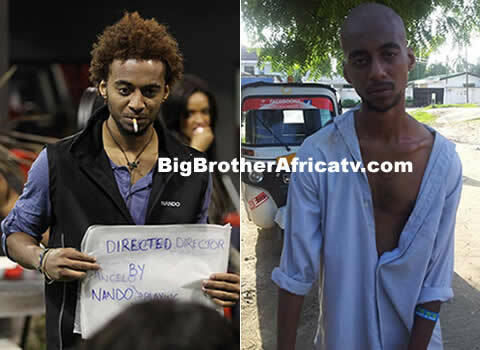 Big Brother Africa 2019 | Season 10 Housemates, News, Contestants, Live Stream, Polls, Nominations: Nando Taken To Rehab By Family And Friends To Fight His Drug Addiction!! Nando Taken To Rehab By Family And Friends To Fight His Drug Addiction!! Ex-Big Brother Africa housemate Nando whose real name is 'Amir Murtazar Khan' has been checked into Rehab at Kigamboni to solve his heavy drug addiction before it is too late. Hours after Nando’s drug addiction story went viral [Read more on that here], fellow former Big Brother Africa Housemates and friends have stepped in to help him out. 2014 Big Brother Africa HotShots winner, Idris Sultan and other friends from the Big Brother Africa have come together to help Nando by taking him to rehab since he is currently addicted to drugs. The BBA 2014 winner revealed this through an interview with Bongo 5 where he talked about his relationship with Nando. Apparently the two were never really tight friends but just acquaintances since they were both in the same house during the BBA contest. “I did not see the need to post anything about Nando firstly because he is not my friend. We are more of acquaintances ever since we were in big brother in 2014. We used to meet in events and parties but I still cannot consider him as close. Together with some of the housemates we have had some hard time to look for his mother’s contact and make her aware of her sons’ state therefore he is now checked into rehab at Kigamboni. I can gladly say he on the recovery road..” Said Idris. He went on to praise Nando for being smart and a chilled out person he did not think would be caught up in drugs. Idris, however promised to help find his mum who will help advice Nando i the best possible way.